Word has quickly and undoubtedly spread across Ottawa and the whole country about the CUPE strike occurring at Carleton University since March 5th. All ponder the implications of this to all employees and employers across Canada, but we forget the vast majority affected by this change: the students of the university. 1) Commuting to and from the University. As with any university in Canada, many of the approximately 25000 students of Carleton are commuters from in and around Ottawa. This means that OC Transpo is heavily relied upon for daily transiting to class. With the strike in play, no OC Transpo buses are crossing the Picket line until 11pm each day – forcing students to either make a 10 minute walk each day from Bronson or to re-route and use the Otrain. This may not seem exceptionally tiring, however for someone living 1-2 hours away, making these changes may mean having to wake up for up to 1 hour earlier each day; such as waking up at 5am to reach for an 8:30 am class! Cars also have restricted access at the time of the strike and have caused many students to be late for their midterms! They have also caused disruptions and delays in class schedules all causing inconvenience and chaos to the smooth functioning of the university. With the end of the term fast approaching and students will be expected to register for summer courses as well as the next term. This is the absolutely crucial time needed for academic counselling for students who may be transferring to different universities, changing programs or even just need help for choosing classes. The timing could not have been worst for these students who now have no one else to go, since this is the specific department that is designed precisely for these questions to be answered adequately by experts. Lack of this could cause dire consequences and confusion for students who don’t even have a particular say in the strike! Just like academic advising, career services is also having “limited hours” of service only. This really is affecting students, particularly those looking for jobs in the summer, which is the prime time for student jobs. This is exceptionally important for international students who may be looking for summer jobs for the first time ever and this guidance could be a game changer for them at this hiring season! Again, one of the departments with “limited” working hours, this one impacts students in a more robust way. Many students have applied to live on campus for their second, third or fourth year, and were supposed to receive approval or decline long ago have yet received no response from the Housing and Residence services office presumably due to the “labor disruption”, this has put students in the awkward and confused state as they have to certainty of their living status for the next academic year. Because there no decline of their requests, students are not sure if they need to look out for apartments which are soon filling up for May leases. This disrupts to the already hectic student life. The most dynamic way in which the strike is affecting students is definitely the cancellation of all labs right till the end of semester. This may at first glance seem like something that students will rejoice, however this change has had massive disruptions to grading rubrics for students across programs. For many courses, labs contribute to a large chunk of the students final grade, and with many or most labs being cancelled due to loss of techs, the labs are re-weighed or some other alternative approach is being looked up upon. However, it doesn’t give the students the same stable opportunity to succeed as the original plan. Besides, knowing someone graduated or passed a particular class without having to do a certain lab doesn’t exactly feel right to most students or teachers. 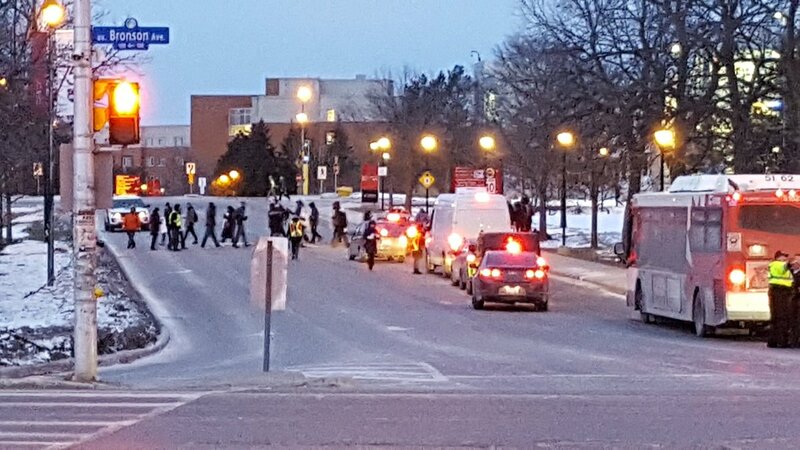 All in all, no matter how regular life at the university may be, the strike has managed to cause certain major disruptions in the lives of students at Carleton University. Just like everyone else, each student is also hoping for this strike to end as soon as possible and to restore the university to its full work force. 19, Psych Major at Carleton U; Ottawa. Live to the fullest in a balanced way to achieve the best in every aspect of life. Food ,Sleep,Friendship,Travel ;Explore.